Keeping up the summer party momentum, we caught EDX’s performance this past weekend in Chicago at the esteemed PRYSM Nightclub, and once again, the Swiss DJ/Producer blew us all away. This time around his Chicago tour stop included the ever-energetic Croatia Squad, topping off the night with an extra special kick of soulful sound. Recognized as a top industry veteran of electronic music, Maurizio Colella has witnessed the scene unfold in infinite ways across the world. As electronic music grew into the movement it is today, Colella has remained a top-notch performer and producer that never ceases to amaze his global fan base and create an unforgettable experience each and every time. His innate ability to turn imaginative rhythms into outstanding remixes, original tracks, and heartfelt live sets has truly cultivated a fan base of pure love and admiration. Giving back to his fans is one top priority for Colella, who boasts his weekly No Xcuses Podcast that has turned into an enormous success and weekly highlight for fans. Having a quality good time with friends who he is always happy to bring along to shows with him as well as having fun with any kind of crowd he plays for are just a couple more reasons he stands out as a lovable artist. Kicking off the night was Croatia Squad who, per usual, led the crowd to straight dance heaven and set the mood for a full night of overwhelming good vibes and house music. Sending groovy melodies and drops all the way to the back of the club as well as PRYSM”s VIP upstairs, Croatia Squad created the atmosphere as one of euphoria and serendipity. PRYSM’s foundation was rocking all night until close at 4am when EDX took the stage and played a two-hour set jam packed with energy and fresh sounds. 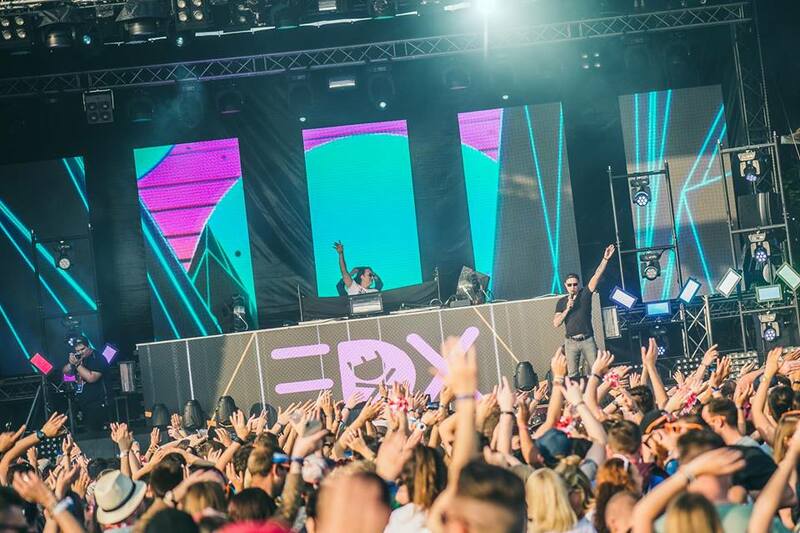 Headlining a crowd full of excitement, EDX hit everyone right in the feels from front to back and left to right with a slew of his original tracks as well as mashups of more booming songs. Right off the bat he threw down a vamped up version of Dua Lipa’s “IDGAF” which set the crowd off to a thrilling start. Building up momentum with his classic house beats that bounced off all the walls with multi colored lasers and strobes, the night continued with his own original bangers like “Daybreak” and “Anthem.” Of course, the crowd went especially wild for his “Show Me Love” anthem soundtrack as well as his recent Dubai Skyline Remix of Janelle Monae’s “Make Me Feel.” More notorious club jams like Fatboy Slim’s “Right Here Right Now” carried the night along perfectly – all in all, another 10/10 performance by the legend himself. We sat down with EDX to chat about all things summer tour stops, upcoming festivals, No Xcuses and more in our interview below! The Nocturnal Times: We are here in Chicago at PRYSM Nightclub. We last sat down with you during Miami Music Week for Ultra, tell us about what you’ve been up to since then? EDX: Well it’s been a great year so far, I’ve been playing a lot of back to back shows and tours. I’m back in the U.S for a run of three shows before I am definitely over in Europe for the summer to play Europe shows and festivals. Summer is going really well over there, there is nothing really new but “Anthem” is out, my remix of Janelle Monae and new music is about to release very soon. The Nocturnal Times: You’re now in full summer swing with performances and tour stops all over the world, what have a couple favorite crowds been so far? EDX: It has definitely been more than one. For example last week in London again for Ministry Of Sound and the first ever Spinnin’ Sessions in London, this was a really cool crowd. Then I’ve been playing shows in Europe and already some festivals like in Germany, that was another really cool crowd. I’ll just pick one and say Tante Mia Tanzt, which is a festival in Germany and that one was very cool. It’s just not fair to pick only one of these crowds! The Nocturnal Times: Ibiza is an absolute summer highlight for everyone and you just performed there this week. How are crowds shaping up this year? EDX: It’s still very early for the Ibiza crowd. The season is just about to start, it really starts in the middle of July and goes until the end of August. Of course the season goes into the end of September but the really peak time is July 15th to the end of August. I’ve been playing shows there already this year in Ushuaia and in Hï this week, and it’s been really great. People from all over the world are getting together once a year on this very small island. There’s a lot of diversity on electronic music and it’s very very dedicated. The crowd knows about music so it’s really challenging and a cool thing to play Ibiza. So far my shows have been really good, the one at Ushuaia a few weeks back and the one at Hï this week were really fun. The Nocturnal Times: Your weekly No Xcuses Podcast gives fans something fresh and new every week- how do you go about structuring each episode? EDX: It’s crazy, I’ve started this podcast now about 7 years ago and it’s been something I’ve wanted to do especially for my U.S fans, to give back every week something for free. I didn’t think this was going to last so long and, well, we’re going to be very shortly at episode 400. At the end of the day I think it’s a blessing for me because it lets me keep focusing every, every single week on new, fresh music. I usually start with pre selection during the week and then I’m like okay we need to add something like this, then I also have my team submitting records, I get a lot of music samples from my fans I also try to pick. At the end of the day it’s just my personal journey through music which I like to put together and so far I didn’t miss any episodes since we started. The Nocturnal Times: You’ve got the mecca of all festivals Tomorrowland coming up next Saturday for weekend 2, how does it feel to return there? EDX: It’s always very special. Not only because you meet people from all over the world like fans, you also get to see a lot of DJ friends. It’s something that’s almost like an ongoing Miami Music Week. We do like three months in Europe – it starts in Ibiza with the start of the season and you play back to back shows with a lot of DJ friends from all over the world in Europe, and well, Tomorrowland is always in the center of the summer. It’s a cool thing you know, it’s a festival that really puts a lot into the experience for the crowd. It combines a lot of great stuff together with music and that makes it something really special and unique in Europe. The Nocturnal Times: Just like yourself, your friends and fellow artists are releasing new music this season- what are some of your favorite releases right now? EDX: It’s very hard to pick just a few, it’s been a very fast track right now. Music has not really switched yet to say like wow this one track or this one guy is very outstanding because he’s adding some fresh, new twist to the electronic music scene or to my sets, so nothing super hot right now I would say. The Nocturnal Times: Your set tonight at PRYSM, what can fans expect? EDX: There is fresh new music coming up very soon that I’m going to play, and already some new remixes. It’s always you know, the same thing, just always trying to kind of evolve my music to keep it fresh and to make sure I have the chance to release my music and keep all my fans up to date with fresh music.